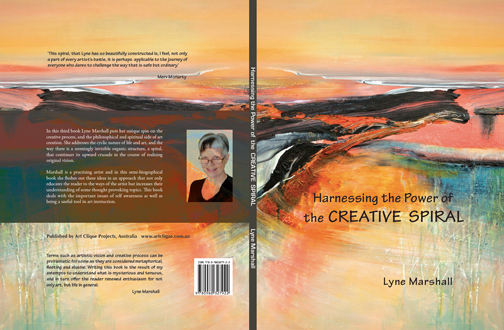 In this third book Lyne Marshall puts her unique spin on the creative process, and the philosophical and spiritual side of art creation. 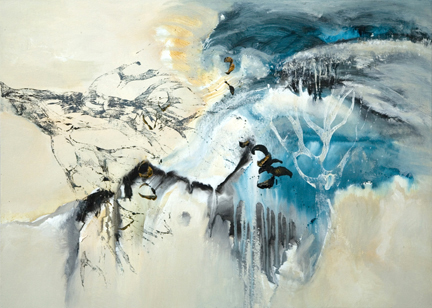 She addresses the cyclic nature of life and art, and the way there is a seemingly invisible organic structure, a spiral, that continues its upward crusade in the course of realising original vision. Marshall is a practicing artist and in this semi–biographical book she fleshes out these ideas in an approach that not only educates the reader to the ways of the artist but increases their understanding of some thought provoking topics. This book deals with the important issues of self awareness, as well as being useful for art instruction. It’s been quite a journey, a roller coaster ride, and am I surprised? The creative process seems to work that way, a bit of luck maybe, but mostly what I call synchronicity. When you open the door the guests start arriving. Deciding to write a third book began when I found I was working away in my studio with little satisfaction and quite a few failures. I was struggling with the question of why I had reached this impasse? 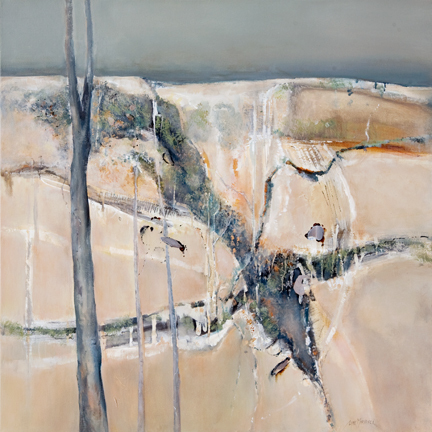 The twists and turns and repeated patterns, plus the words of other artists, altered me to the idea that this might just be an ongoing natural process, and was not only unavoidable, but should be anticipated with some degree of excitement. We do have repeated patterns that arise, in differing ways for different people, every time we create. But how do you get excited by the downturns and turn this into a positive experience? What did I need to understand? This concept formed the premise for my new book Harnessing the Power of the CREATIVE SPIRAL. I do run somewhat with metaphor. Story-telling is one of my favorite language tools however terms such as artistic vision and creative process can be problematic as they are not only metaphorical but also fleeting and elusive. This book continues my long journey of gaining an understanding into what is considered by many as mysterious yet tenuous. In writing it I have renewed my enthusiasm for not only art, but life in general. I believe the reader will have the same positive experiences. 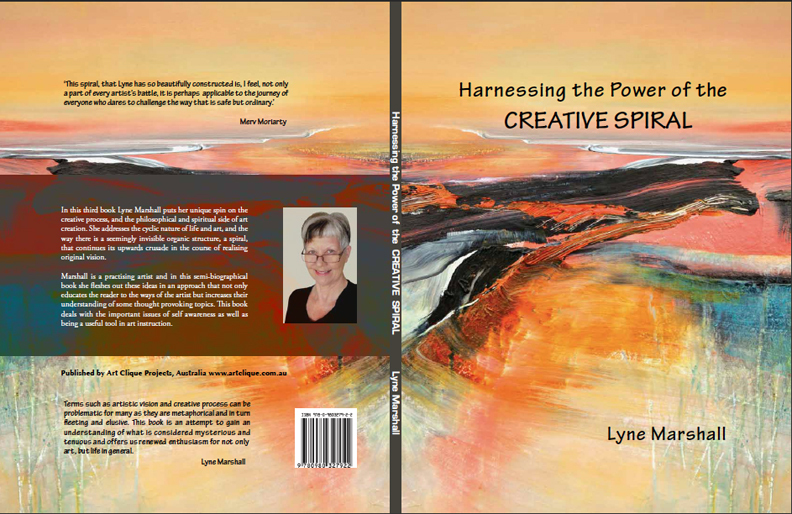 Due for release sometime in January and at the latest early February, I am planning to have Harnessing the Power of the CREATIVE SPIRAL stocked in many of the venues who hold my other books so check with the one near you if you bought my previous books there. It can also be preordered by emailing me. 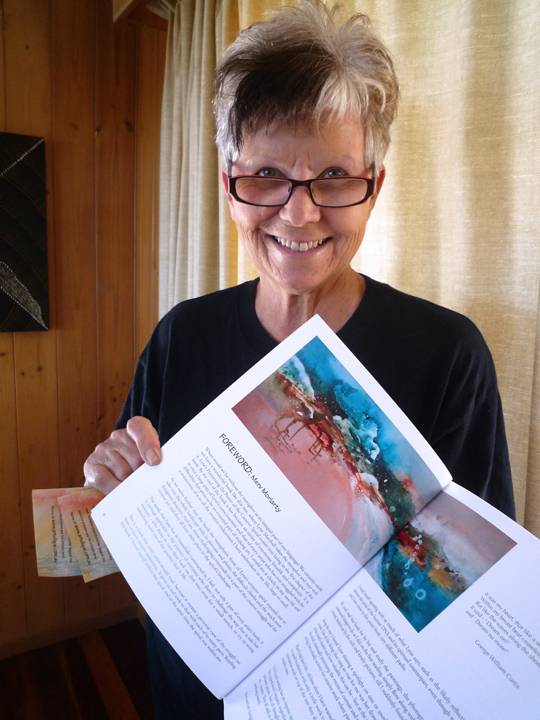 [ books @artclique.com.au ] Below is a sneak review of the cover. 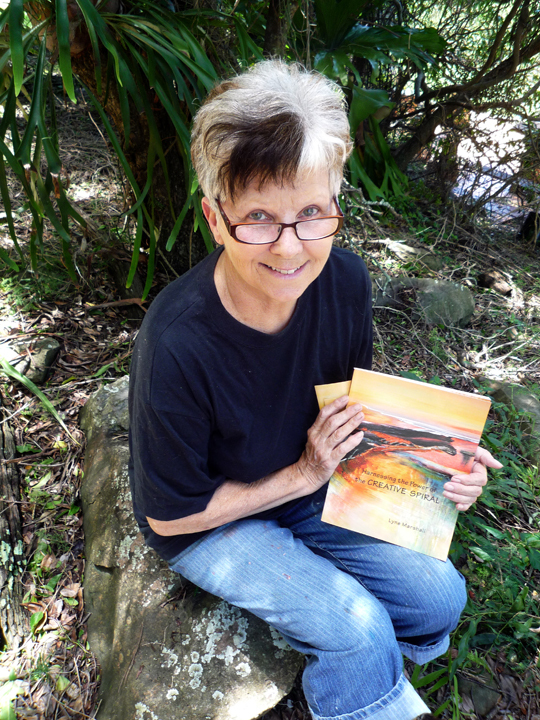 The previous books can be viewed on http://www.artclique.com.au/galleries/books/book.html and the new addition will be featured there soon. A new book examining the nature of the invisible organic spiral that continues its upward crusade in the course of realising original vision. I was reading about Bob Dylan yesterday, in a summary of his music career written by Scott Marshall, in a little book titled Spiritual Journeys –How faith has influenced twelve music icons. I realised it was his birthday. Bob Dylan turned 70 years old on the 24th May. What has always been influential for me, besides Dylan’s amazing song writing and music, is his conviction to what he sees as his truth. He has never shied away from his own beliefs which are boldly written in his songs. Music has always been high on my list of things that inspire and watching Buffy Sainte- Maree, another 70 year old performer on stage at the Byron Blues Fest, had a huge impact. There were quite a few musicians over 60 yrs of age. These performers had strong convictions and a lifetime’s work to draw on. Creative people who have strong traits such as a love of freedom, mystery, empathy and beauty, be it subtle or shouted about, and who combine these with endurance, courage, ingenuity and self trust are always genuine in their pursuit for the real thing. Not satisfied with the mundane they do what it takes to achieve their goals honestly. Getting to the truths of any art form has never been easy, and Bob Dylan has many critics, yet he remains an icon. Age should not be a deterrent, nor criticism, nor lack of support. These can become poor excuses for not creating what is in the heart. Fear can stop the greatest idea as can our concerns for what others might say. Being aware of this is the first step, from then on it can only be upwards.